When it comes to pendants or rings, customers should feel satisfied and comfortable with the professional jewelers they deal with. At Bova Diamonds Jewelry, they understand that the relationship they have with their customers must be backed by careful customer service and sales approaches. There are guidelines to help you choose the best store to buy your jewelry. antiquity Bova Diamonds has been around for a long time. For more than 20 years, we have been selling loose diamonds wholesale and retail in Dallas, Texas. We offer clients the perfect customer service. We are the store that focuses mainly on custom designs. We have the most experienced and trained jewelers. 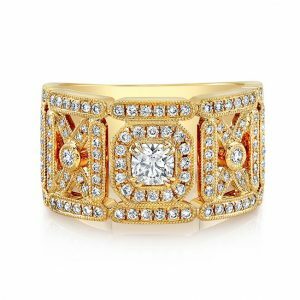 diversity Bova Diamonds is one of the leading diamond jewelers and wholesalers in the heart of Dallas, offering loose diamonds, engagement rings and custom made jewelry. certification Bova Diamonds has the required certifications and training. Which are the basics of knowing about every jeweler in Dallas. Our 20 years in the industry are long enough to tell us where we got our certification training. services Bova Diamonds offers a large selection of engagement rings in every style imaginable. We can also help create beautiful and personalized rings, they are the best place to buy personalized engagement rings in Dallas. We also offer repairs with great attention to detail, all at a reasonable price communication Bova Diamonds has a great team. You will listen to what you ask and you will be able to solve all your doubts. Good communication is the key to the long-standing customer relationship. guidelines Bova Diamonds also offers warranties, resizing and other services. We are a world-class jewelry known in the local community for its excellent craftsmanship, attention to detail and customer service. The maintenance of our reputation is due in large part to our wonderful customer base that spans our store.